Thank you so much to guest contributor Ian Pearson for this article on Natural Skin Rejuvenation. Learn more about Ian on Google+. I welcome any and all ideas for skin rejuvenation since turning the big 4-0 last year! Thanks again Ian for a great article. As we age, it becomes difficult to maintain fresh and youthful glow that our skin used to have. Effortlessly good looks of our youth are no longer so easy to achieve, and now you find yourself studying the small wrinkles around your eyes and mouth. 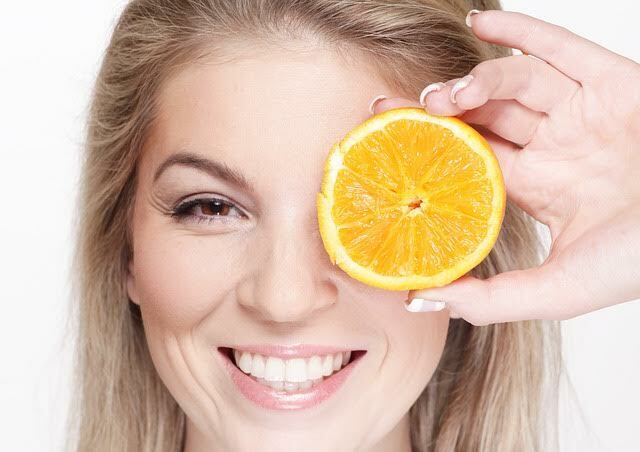 While it’s impossible to completely reverse the ageing process, there are useful natural ways to rejuvenate your skin and restore some of that healthy glow you’ve gotten used to. An ingredient which can be used in so many ways to help your skin and restore its youthful glow is turmeric. Its’ considered to be a miracle product since it helps the skin in so many ways – it will restore its glow, solve problems with excess oil for people who naturally have oily skin, and reduce inflammation for people who have acne. Another good thing about it is that it can be combined and mixed with plenty of other ingredients – olive oil, honey, carrot juice, and milk powder, and it will always give great results. Keep I mind that turmeric can stain your clothes, so always wear an old T-shirt when wearing turmeric masks, and use an old towel to pat your face dry after you’ve washed it. Sadly, there is nothing that will stop wrinkles from appearing on your skin at one point, but if you keep your skin moisturized, you can postpone the appearance of wrinkles or reduce them significantly. This is one of the reasons why moisturizers are so popular – it helps your skin retain moisture, and acts as a temporary wrinkle-filler. What you get is fresh and smooth complexion, and the procedure is completely natural. Avocado-honey moisturizing mask will make your look and feel fresh and youthful, and it’s easy to make. You only need a tablespoon of raw honey, a quarter of an avocado, and three tablespoons of fresh cream. Make a smooth cream of these three ingredients in a blender and apply the mixture on your face at least three times a week. The best thing about this toner is that it can easily be made at home, and if you make a habit out of using it, you will ‘erase’ the first signs of premature ageing of your skin. What is more, green tea is full of wonderful antioxidants which do wonders in soothing the irritated skin, and when you add mint and lemon, you will also notice that the skin of your face is brighter. What you need to do is boil a cup of mineral water and add three teaspoons of green tea leaves along with a teaspoon of mint leaves (you can use dry or fresh ones). Let the leaves stay in the water for a while and add a teaspoon of freshly squeezed lemon juice in. Use it every day after you cleanse, spray your face with it or soak a cotton pad use it on your face and neck. Asides from being really good for your metabolism, oatmeal is also great for your skin. It is rich with anti-inflammatory properties, and it can lighten your skin as well as be of great help to people who struggle with acne. You can prepare an exfoliating paste by putting a tablespoon of oatmeal with little water in a blender, and add a tablespoon of honey. Apply the paste to your face and leave it on for about twenty minutes. After it dries, rinse it with lukewarm water and gently dab your face with a towel. Oatmeal contains saponins which cleanse your skin and rejuvenate it along the way. Times have indeed changed much over the last couple of decades, and it’s good to know that cosmetic surgery is no longer seen as taboo. In case you’re not satisfied with the results, or you need more information regarding the rejuvenation procedure, you can always ask plastic surgeons Sydney for advice. When looking for a reliable information and good advice, always ask a professional, and don’t blindly trust the internet. Thanks for the great skin rejuvenation tips. I like how you said that using a completely natural avocado-honey mask is a good way to keep skin healthy. I’ve also heard great things about laser rejuvenation. Have you heard of that? Awesome tips and tricks! Absolutely homemade. Green tea and Rose toner are really good for skin.